Tiled floors have become a necessity for regular apartments and these are used extensively in public places like offices, hospitals or shopping malls.Tiles are seen to be a much more viable option as tiled floors are durable; they look good and they are very easy to clean. Tiles are durable as these are made of extremely resilient materials and these are coated with substances that make them resist wear or tear. Carpeting can be a great option for homeowners looking for a temporary solution but tiles have their own appeal as they keep looking brand new for years. It may cost you a lot at first and the investment might seem heavy but it will all be worth at the end. Nowadays, there are online stores as well as shops offline which sell all kinds of tiles and a homeowner should know what he is looking for when he wants the right tiles for his home. 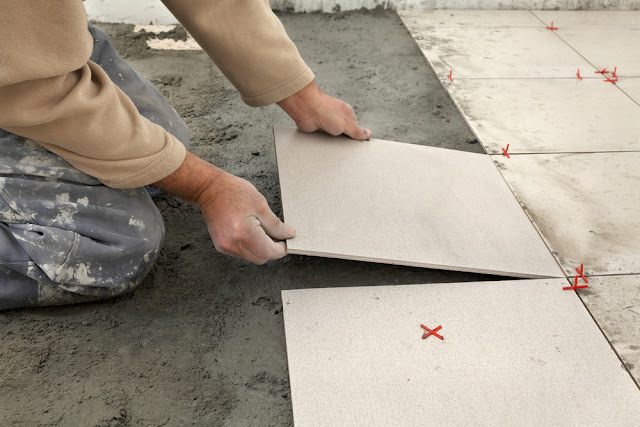 The size and shape of a tile are worth checking when you go looking for tiles. Suppose you have a square room then you should be choosing tiles which are square in shape. You should also take the skills of those who will install it as some are easy to install and some are a bit difficult with complex designs. Additionally, you can go for small tiles and make a mosaic of them so that the designs with details are formed. The shape of tiles should be taken into account over here. Those who provide tiling service to you will specify the shape of tiles best suitable for your preferred area. There are rectangular tiles which might also be called subway tiles. These tiles are not used for paving great areas like room floors but these are most often used in small areas like the kitchen or bathroom or around swimming pools. Contact the professionals for quality tiling services, tell them to find the perfect subway tile for you if you need them. Then there are also tiles that are generally used for flooring. About any kind can be used but generally larger ones are used. Making the floor look clean and well-cut is one of the main intentions with bold lines running all over the floors when this type of tiles is installed. The PEI rating is the next most important thing that you should be looking for when shopping for tiles. It points to the Porcelain Institute Enamel scale. There is a range of 5 points in which 0 points to the weakest tile and 5 points to the strongest. Tiles with PEI rating of 0 should be used on walls only as these are too delicate. A PEI rating of 1 can support light traffic and those with 3 can serve to be useful for all residential purposes. A rating of PEI4 indicates that you can use the tiles are durable enough and can be used for all residential or commercial places and those with 5 are highly resilient. Hope you get all the points when you choosing a tiling service. If you want to know more than visit here.